Help Your School by Fundraising for Specific Programs! Does your football team need new jerseys? Or would some new filming equipment really inspire the students in your media classes? Or maybe you’re hosting a special back to school social that needs more funding. If your school has a specific team, club, event, or activity that is in need of some extra help, starting a micro-project would be a great idea! 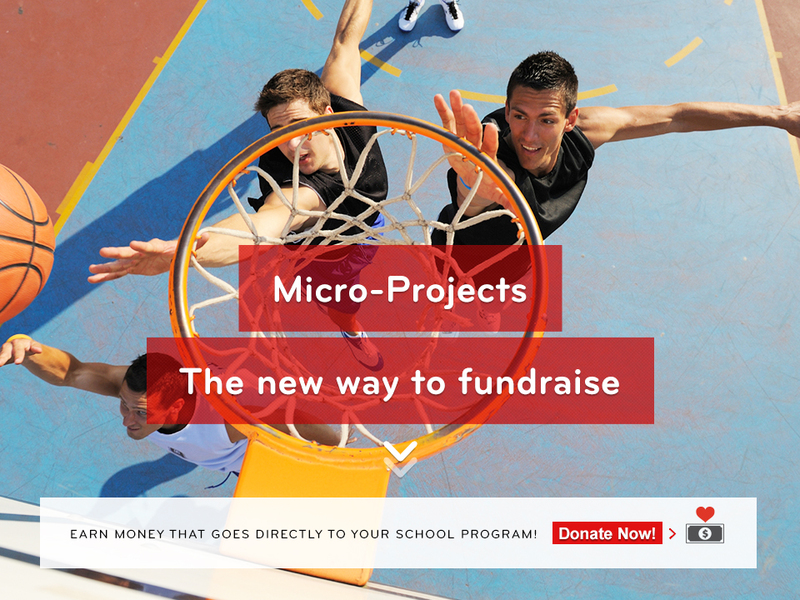 Micro-projects allow students, parents, and school supporters to make direct online donations to specific school programs, and use the power of social media and word of mouth to get as many people as possible to support their cause. It’s a great way to expand your school’s social network, raise money for your cause, and get new people excited and interested in your school program. In order to begin a micro-project, your school must be part of our K12Rewards program. To sign up or learn more about our program, visit our site here.